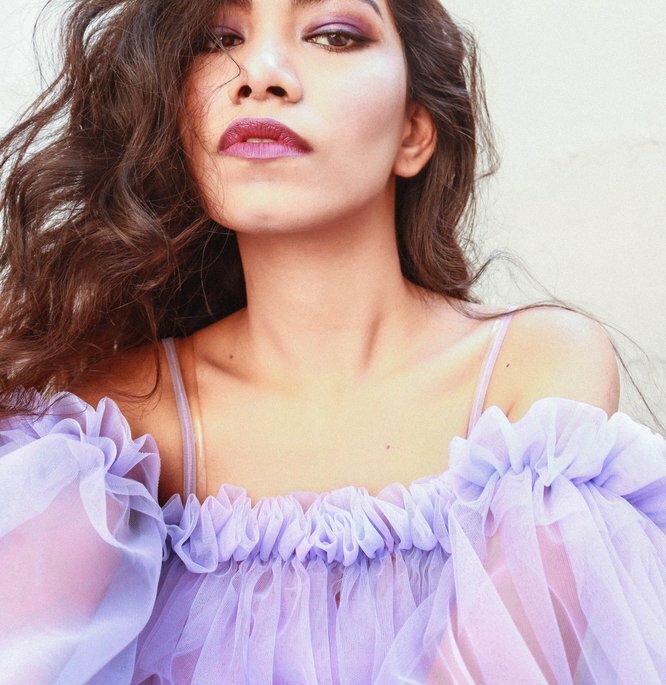 Fashion designer, Fashion and beauty Blogger, Influencer. Caffeine dependent life form. I actually love trying new products, I mostly never buy the same product twice and I loved this face wash it's really soothing and I loves the smell of the roses and it doesn't leave my skin looking dry because of the milk, maybe? Would love to buy again. I absolutely love the morphe palettes, the pans are a great size and gonna last for a long time and they are affordable and superb quality. This palette has a beautiful set matte and shimmer shades perfect for fall-winter and blends beautifully. 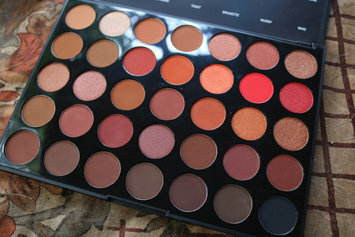 And I did notice Morphe changed their logo which I totally love. If you're more of a neutral or fall colors fan, this palette is perfect. It didn't irritate my skin when I started using it and It definitely reduced my pimples by only using it for a month, I do see a little difference in my hyperpigmentation too. I get fewer pimples or acne since I started using it. It spread beautifully on the skin and a drop or two is enough for the whole face and I love how affordable it is. I love colorful palettes and this has almost every color. The colors are very vibrant and blendable and in every way it's amazing. I love how it also has shimmer shades too. Pink kind of leaves the stain behind but it is removable. I created this Halloween vampire look with this palette and everyone loved it. It is fine, looks natural. But, the glue with it does not work well though but for this price, It's a beautiful kit. The eyelash curler is very cute, love it. The tweezers is also nice for putting on lashes. Everything is nice except for the glue, but you can get better product by spending few extra bucks. Works great in washing brushes but you have to work it a little bit. for dense brushes it takes much more of shampoo to clean them but yes It does remove makeup/residue and also the eyeliner marks from the brushes very effectively. this product lasts for 2-3 months if you wash your makeup brush every week and have 15-16 brushes. Less brushes, less product. These are so beautiful pinks-oranges light and dark, pigmented give a nice color to cheeks. Honestly it's best for people with really fair skin, I have little lighter to medium skin tone and there are only 2-3 usable shades out the entire palette for me. I put this on in the morning and it lasts all day. It's very pigmented and stayed well, good for professional use. I just love the palette shades, all colors are awesome. It is neither reddish nor too brown. It looks natural. When I ordered this, I was really skeptical because it looked really light when compared to my Medium to Tan skin tone. The product honestly took me back. I used it for contouring my nose also. It's a good product, totally in love with this bronzer. Good for everyday use. These brushes are the softest brushes one can buy, especially on a budget. Real techniques has the best brushes. Easy to apply the makeup with an amazing range of brushes. You can work with these brushes so easily. Brushes are of good quality and you can go for these brushes over others.Total value for money.